Our theme song is a remix of Randy Edelman’s MacGyver theme, put together in MIDI form by friend of the show Martin Broder. 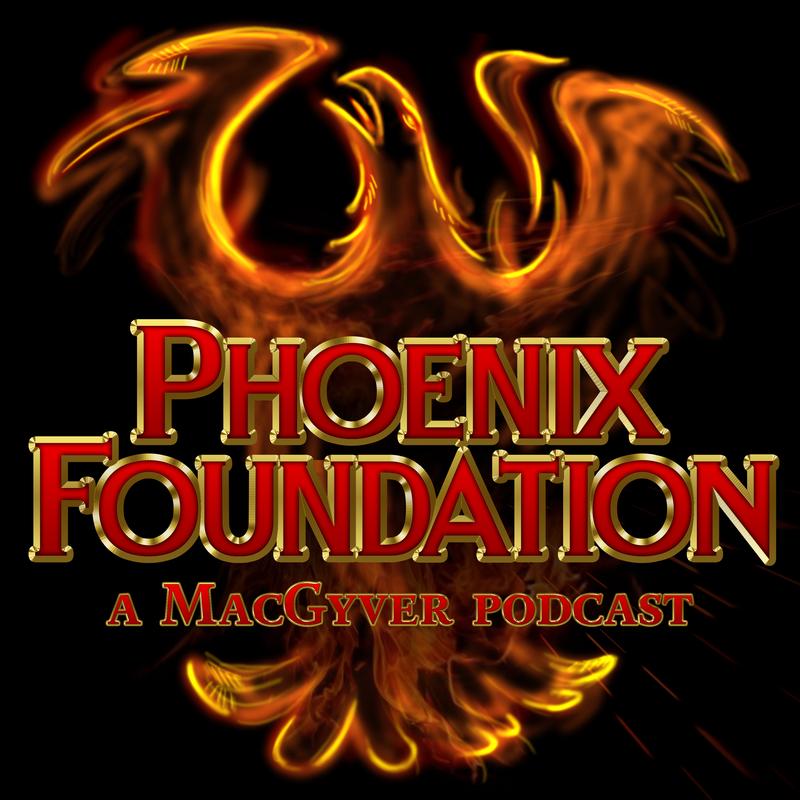 Our iTunes (and website) logo was put together by the great Andy Bernier whose other work can be found here. Greetings from the UK! Lovely to hear your podcasts, thanks for putting them and the write-ups, interviews etc. together for us! 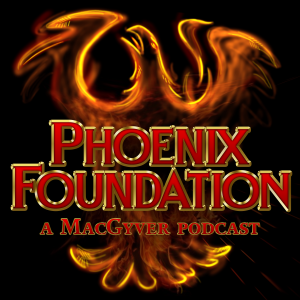 I got here from The MacGyver Project’s Kora Cypress interview link (I like that you sometimes refer to each other) and become a regular listener! I increase the podcasts’ volume (20dB is about the most I can add without getting the sound too distorted) so I can listen to them on the phone without headphones. I wonder if you would ever put a special together consisting of bits and pieces like favourite moments, outtakes etc. with a photo, say, of the two of you in the middle of recording with your notes etc. around so we could put a face to your voices (so far I only come across a picture of Patrick) and could have a look at what the process looks like. Another thing I thought of is that when you mention other films, I often think „I would love a review of that one” (or insert a favourite). Is that something you would consider doing, say, if you ever run out of MacGyver material? The films could perhaps be picked by combined polls of the listeners and you, I so far had at least a dozen in mind while listening to your podcasts, like some of the Nolan movies you mentioned, or anything similar to MacGyver etc. Your logó looks awesome! Keep up the good work!